Brilliant, Lorna! Next time I need a quilt for the male species, I know just where to shop for my pattern. As soon as I saw this I thought of my hubby...Mr. Fixit! Such a cute idea for a "guy" quilt. Love your new patterns! What great ideas for men! If all tools were rainbow colored...it might make me want to take up woodworking! You are so creative!! Lorna! Your hammers quilt is so adorable! I love how your mind works. When I first saw tools on a quilt (The 1857 quilt which was part of a quiltalong), I thought it looked strange, but on yours it looks so wonderful and natural. The 1857 quilt had a bunch of different tools in a couple of blocks, and another one with gardening supplies. That is sew cute! Several ladies in my large quilt guild have made your giraffes for baby quilts. I just bought it, since I have several baby quilts that I need to make. I even have the giraffe faux fur for the back. Lorna, this is a great quilt for a builder or home fix-it guy, It would be really fun with some sort of measuring fabric fussy cut for the strip underneath the hammer. Just perfect!! Nailed, Hammered and Screwed - what is not to love? I am sure it will make folks smile at least if not make them laugh out loud!!! Another tool quilt! I love it! 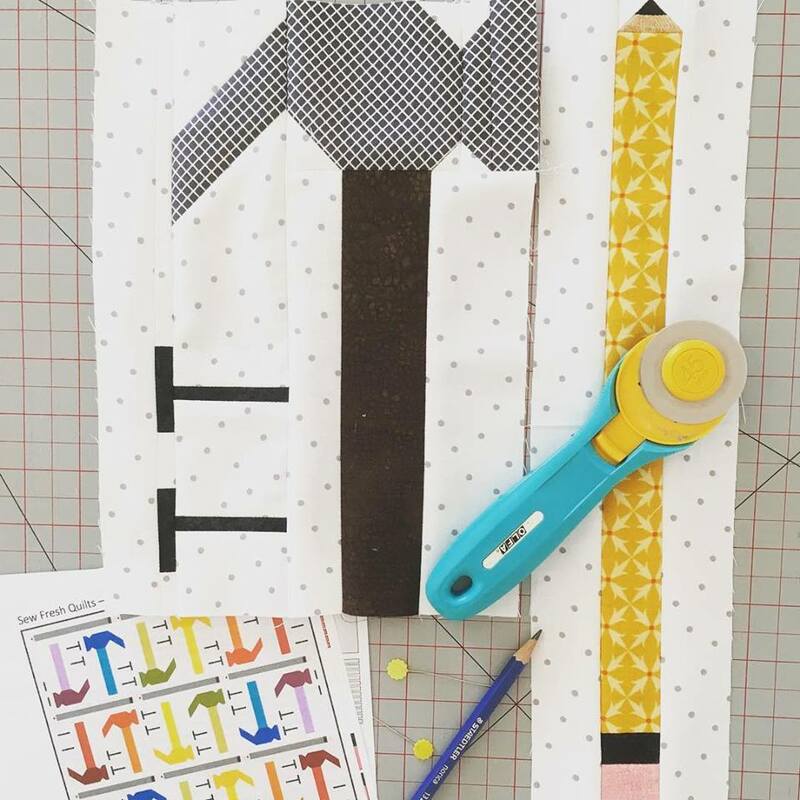 I do love these toolbox quilts! You nailed it. LOL Your creativity is amazing. I'm personally a big fan of sewfreshquilts blog. Thanks for sharing this post. Hammer quilts are really neat. Great for a guy who's handy. 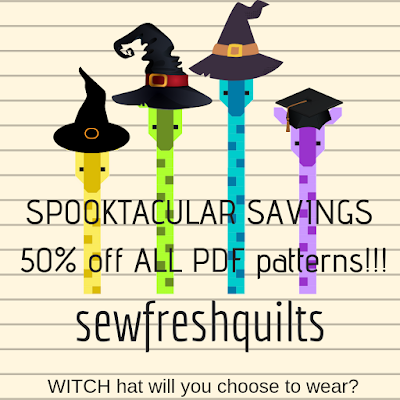 I'm really wondering about the witch's hats shown in the 50% off ebook sale ad. I did a search on the blog, but didn't find patterns for them. Are there patterns for them? The giraffes really look cute in them. I just LOVE this hammer quilt! You are SO CREATIVE! Thank you for sharing with us!